My pick for today's Tuesday's Tunes (tongue twister!) is Excuse Me Mister by No Doubt. As most of you know, No Doubt has long been a massive favorite of mine. I was thirteen when Tragic Kingdom came out and even though this record is 18 years old (seriously?!) it still holds up as one of my favorite albums of all time. It's a perfect album from start to finish. I love to listen to this song in particular when I feel kind of 'blah' as it can snap me out of that mood in no time. It's an awesome song to belt out in the car, too! 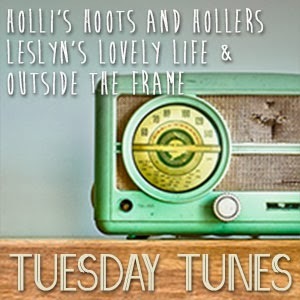 I'm linked up for Tuesday's Tunes at Leslyn's Lovely Life! Pick a song and come join us!